As previously reported, Foo Fighters frontman/keynote speaker/supporter of democracy Dave Grohl is telling the story of the iconic Sound City studio, which closed for commercial use in May 2011, with a forthcoming documentary. But before the film lands in theaters or on DVD, he’ll celebrate the musical landmark with his very own program on SiriusXM. 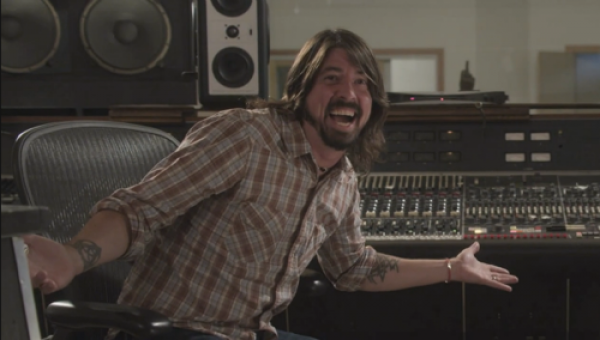 Dave Grohl Presents Sound City debuts on November 29th at 4 p.m. EST on SiriusXM’s Classic Vinyl channel. Slated for a run of nine weeks, each episode will feature stories about the music recorded at Sound City, including Neil Young’s After the Gold Rush, Fleetwood Mac’s Rumours, Metallica’s Death Magnetic, and some album called Nevermind. The final show, airing January 24th, will feature a discussion about the documentary. Check out the radio show schedule, along with a clip from the doc featuring Metallica’s Lars Ulrich below.